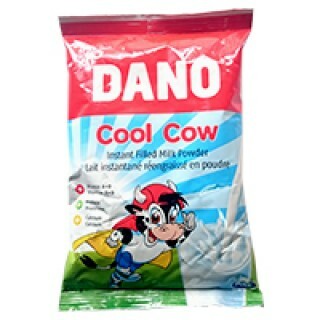 Dano Coolcow is a delicious and tasty filled milk-The Smooth Taste. It is highly nutritious and a great source of vitamins, proteins and calcium, which are all essential for growing children and active people looking for a strong and healthy body. Coolcow is a high quality filled milk made from natural,fresh skimmed cow milk and vegetable fat for a more balanced diet. It has been enriched with extra vitamins A and D. Coolcow is an instant blend of skimmed milk and vegetable fat in powdered form, with sugar and vitamins.